This beautiful medalion quilt has been designed by Lee Brown exclusively for Daisy Chain Designs. 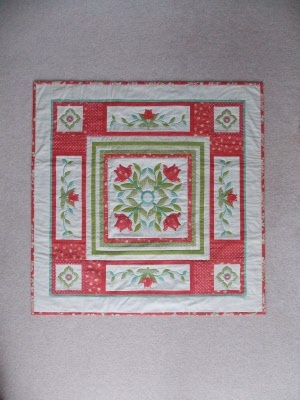 The quilt features applique using the fusible technique. The quilt measures approximately 41 inches square. KIT AVAILABLE.